The lecture is open to all but please register by completing this form until May 5, 2017. Abstract: The difficulty with the history of censorship is that it looks so simple: it pits oppression against freedom of expression. But if one looks harder, it appears more complicated—and full of surprises. How did censors actually do their work? How did they understand it? And how did it fit into the surrounding social and political context? By studying the day-to-day operations of censors under three authoritarian regimes—Bourbon France in the eighteenth century, British India in the nineteenth century, and Communist East Germany in the twentieth century—it is possible to rethink our understanding of censorship in general. 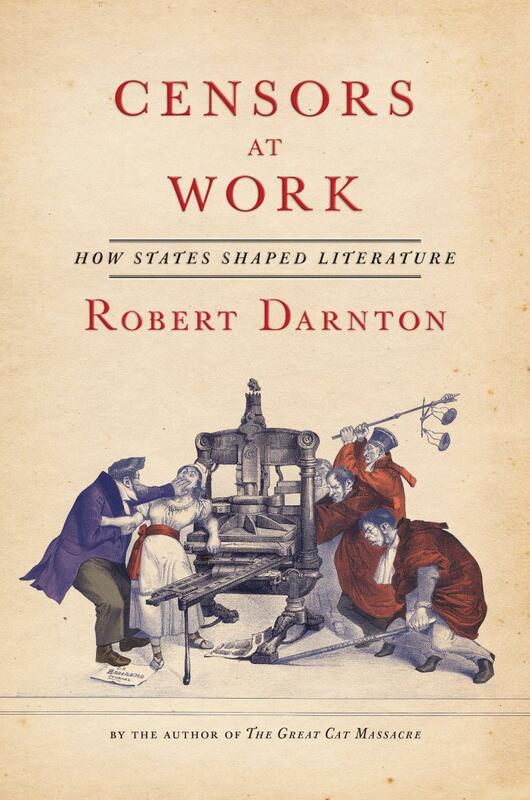 Robert Darnton was educated at Harvard University (A.B., 1960) and Oxford University (B.Phil., 1962; D. Phil., 1964), where he was a Rhodes Scholar. After a brief stint as a reporter for The New York Times, he became a junior fellow in the Society of Fellows at Harvard. He taught at Princeton from 1968 until 2007, when he became Carl H. Pforzheimer University Professor and Director of the University Library at Harvard. He has been a visiting professor or fellow at many universities and institutes for advanced study, and his outside activities include service as a trustee of the New York Public Library and the Oxford University Press (USA) and terms as president of the American Historical Association and the International Society of Eighteenth-Century Studies. Among his honors are a MacArthur Prize Fellowship, a National Book Critics Circle Award, election to the French Legion of Honor, the National Humanities Medal conferred by President Obama in February 2012, and the Del Duca World Prize in the Humanities awarded by the Institut de France in 2013. He has written and edited many books, including The Business of Enlightenment: A Publishing History of the Encyclopédie (1979, an early attempt to develop the history of books as a field of study), The Great Cat Massacre and Other Episodes in French Cultural History (1984, probably his most popular work, which has been translated into 19 languages), Berlin Journal, 1989-1990, (1991, an account of the fall of the Berlin Wall and the collapse of East Germany), and The Forbidden Best-Sellers of Prerevolutionary France (1995, a study of the underground book trade). His latest books are The Case for Books (2009), The Devil in the Holy Water, or The Art of Slander in France from Louis XIV to Napoleon (2009), Poetry and the Police: Communication Networks in Eighteenth-Century Paris (2010), and Censors at Work: How States Shaped Literature (2014).